If you're a nature fanatic and you're looking for something fun to do during your trip to Nevada, then you have come to the right place! Check out these top-notch gardens and arboretums in Nevada- you are guaranteed to be blown away by the beauty! Reno's Idlewild Park is a beautiful open space west of downtown. 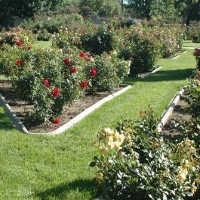 The Rose Garden features 200 varieties of roses and a total of over 1,759 roses. The park curves along the south bank of the Truckee River where mature trees and large expanses of grass resides. The lake is perfect for fishing and feeding waterfowl. In the fall, the trees' color will enhance the park's magnificent view. Visitors can also enjoy other activities like biking. There are also a playground and swimming pool. It is a perfect place to enjoy a leisure walk and activities with enchanting roses to view. The Wilbur D. May Center consists of two sections, the museum and the arboretum and botanical garden that is open to the public without charge from sunrise to sunset. There are five areas in the gardens: Burke Garden, Dixie’s Plaza Garden, Honey’s Garden, Songbird Garden and Wetlands. Each of the areas in the gardens is distinguished with their own style and architecture. The floras are varied from roses, iris, foxglove, campanula, and many more. It is a perfect place to spend your time with your family or friends for a picnic under the trees or exploring the museum. With a relaxing environment, tourists can enjoy this activity with comfort and happiness. This garden and arboretum is definitely a must see park when you visited Nevada. Ethel M Chocolates Cactus Garden is named as Nevada’s largest and one of the world’s largest collections of its kind. The architecture landscape is naturalistic, viewing more than 300 species of plants. 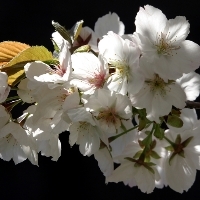 The floras are chosen for their beauty and adaptability of Southern Nevada climate. There are many beautiful plants including Beaver Tail, Spotted Aloe, Ocotillo, Compass Barrel, Maguey Century Plant and many more. Besides the cactus garden, there is a chocolate factory around the corner. It is suitable for families with children to enjoy both; an educational cactus garden and a visit to the chocolate factory. The combination of fun and education will make this vast cactus garden stay in your memory for a long time. 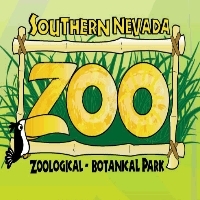 The Southern Nevada Zoological-Botanical Park is managed by the non-profit Nevada Zoological Foundation. Their mission is to educate children and the general public about endangered species and habitat protection. They are hoping the visitors can have a better understanding of the animals and plants, so they would appreciate the uniqueness and beauty of the entire natural world around them. This zoo opens daily from 9 a.m. To 5 p.m. As the only zoo in Las Vegas, this attraction place is working hard to fulfill their mission and entertaining the public by displaying all kinds of plants and animals. This is really a fun garden and arboretum in NV. The University of Nevada Reno Arboretum was established in 1985; the collection includes trees, shrubs, flowers, ornamentals, and native flora for over 200 species. There are many areas of interest from this university's arboretum; one of them is the Cherry Blossom Garden. Located on the northwest side of the planetarium, this garden features Mt Fuji cherry trees, azaleas, bamboo and ornamental grass. The Fleischmann Agriculture Entry Landscape offers trees like Crimean lindens, ash, blue spruce, dwarf Montgomery spruce, and flowering pears along the street. The contrast color between each season makes this area interesting to visit. 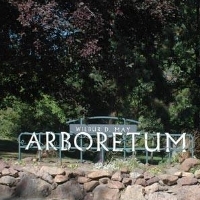 The Arboretum is open to the public. 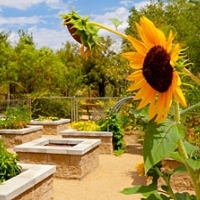 The Springs Preserve Gardens feature 110 acres of display gardens, natural gardens and wildlife habitats, and is home to the largest collection of Mojave Desert cacti and succulent plants. This garden received an award for Garden Excellence in 2012 by Horticulture Magazine. The outstanding horticultural displays have created an inspiring and environmentally friendly garden. 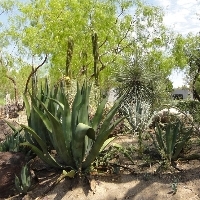 The garden contains more than 1,200 species of native and desert-adapted plants. It opens daily from 10 a.m to 6 p.m. The Garden Center can help you solve your sick plant or horticultural mystery. By bringing your sick plan, photo or description to the center on Saturday from 10 a.m to 3 p.m, the Master Gardener will attempt to provide a free diagnosis and cure. This is a great garden and arboretum in NV! 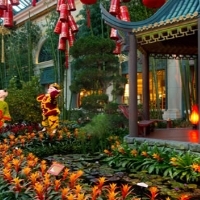 The Bellagio Conservatory and Botanical Gardens is located in the famous Hotel Bellagio Las Vegas. The architecture of the garden is changed according to seasons. The display is passionate and sensational. Visitors can admire the seasonal design with exceptionally gorgeous plants, flowers and trees. This garden opens 24 hours, 7 days a week. The hotel has employed 140 horticulturists experts to arrange the gazebos, ponds, bridges and water at this Nevada garden and arboretum. Take a moment to enjoy the magnificent view or snap a dozen photos for your treasured memory here. 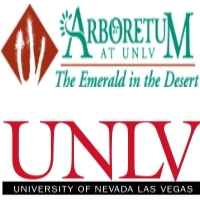 The University of Nevada Las Vegas Arboretum was established in May 1985. Over 80 acres of land are landscaped with trees, shrubs, and turf including the interesting two acre Xeric Garden. Their mission is to display mature plant materials considered appropriate for high desert conditions. The visitors can take a tour leisurely, any time or day of the week. The Xeric Garden is located at the entrance to the Barrick Museum. The garden is an example of how drought-tolerant plant and water efficient irrigation systems may be allied to conserve water. The result of this combination will create an attractive landscape.